The MFAH screens FredERICK Wiseman’s National Gallery Dec. 18, 19, 20, 21, 27 & 28. 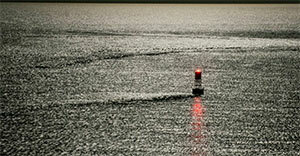 Photo courtesy of the MFAH. We love holiday shows; it’s a great time to get interested in the arts and get the family out of the house in one swoop. But, some of you will be looking for something else to do besides the usual fare. Here are some suggestions. 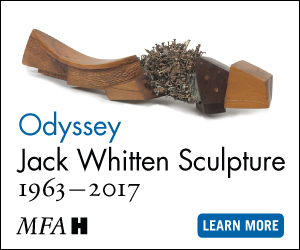 HOUSTON- Frederick Wiseman’s National Gallery makes a stop at the MFAH’s Brown Auditorium on Dec. 18 at 1 pm, Dec. 19 and 20 at 6 pm, and Dec. 21, 27, and 28 at 4 pm. This could possibly be the artsy family movie to keep everyone happy. A consummate understated tour guide, Wiseman gives us a rare behind-the-scenes view into one of the world’s most renowned art institutions. I am a huge fan of Wiseman’s subtle doc style, and who could forget his portrait of the Paris Opera Ballet, La Danse, which screened at Houston Cinema Arts Festival a few years back. Stuart Ward and Dani de Waal from the ONCE Tour Company. DALLAS- We loved John Carney’s endearing 2007 movie Once, set in Dublin staring a couple of down on their luck musicians, played by Glen Hansard and Marketa Irglova, but will we love the musical? Martin Lowe, the show’s musical director and orchestrator, thinks we will. “The songs feel just a little bit bigger than they did in the movie,” claims Lowe. “We’ve got 12 musicians onstage. Often, we have three or four guitars playing at any one time.” Once stops in Dallas at AT&T Performing Arts Center on Dec. 17-28. 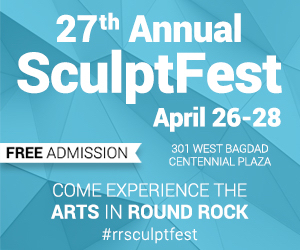 If you miss it then, no worries, it travels to Lexus Broadway in Austin at Texas Performing Arts on Feb. 24 – March 1, and in Houston at Broadway at the Hobby, March 10-15. Emma Stratton as Reno Sweeney and Lexie Plath, Kaylee Olson, Annie Wallace and Gabriella Perez as Angels in the National Tour of ANYTHING GOES. AUSTIN- I saw Cole Porter’s tuneful gem of a show when it came to Houston’s Broadway at the Hobby Center, and just loved it. The Tony-award winning show lands at Lexus Broadway in Austin at Texas Performing Arts, Dec. 9-14, and features such famed songs as “I Get A Kick Out of You,” “You’re The Top,” “De-Lovely,” and, of course, lots of high-seas hijinks. It will cheer up even the crankiest of your relatives. 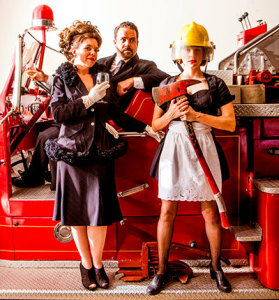 Karen Parrish (Babette), Max Hartman (Gottlieb Biedermann) and Jenny Ledel (Anna) in Kitchen Dog Theater’s production of The Arsonist. Photo by Matt Mrozek. HOUSTON-Panto might be a holiday tradition, but you won’t find a jingle bell in sight in Stages Repertory Theatre’s world premiere of Panto Rapunzel (and Zombies), an outrageous family musical by Joseph Blanchard and Jodi Bobrovsky, through Jan. 4. Expect the usual mayhem, an evil villain, a great cast and dancing zombies. “This is the most political Panto we have ever done, there’s even a character called Dirk Berry,” says Stages’ artistic director Kenn McLaughlin. 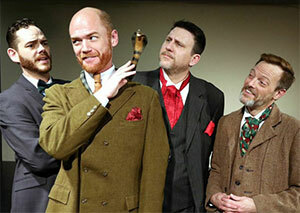 John-Michael Marrs, Aaron Robers, Thomas Ward, Mark Shum in the Stage West production of The Explorers Club. Photo by Buddy Myers. FORT WORTH- Stage West presents the regional premiere of Nell Benjamin’s The Explorers Club, a co-production with WaterTower Theatre, through Jan, 4. Set in London in 1879, this smart comedy chronicles what happens when a woman applies to be in the club. 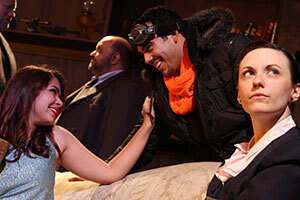 After the holidays, the play will move to WaterTower Theatre, Jan. 16 – Feb. 8. 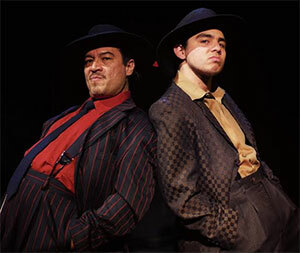 Rodney Garza as El Pachuco and Chris Ramirez as Henry Reyna. Playhouse San Antonio in Fiddler on the Roof. 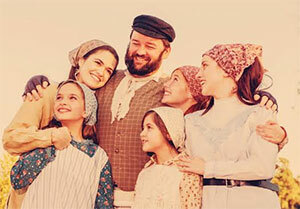 SAN ANTONIO- Playhouse San Antonio presents Fiddler on the Roof, Dec. 5 – 22 at Russell Hill Rogers Theater. The holidays are a perfect opportunity to look at a nutty family other than your own, plus the tale of Tevye and his struggle to preserve his family’s happiness and his religious traditions during the unraveling of 1905 Tsarist Russia is a universal tale with some gorgeous tunes and lyrics by Jerry Bock and Sheldon Harnick. 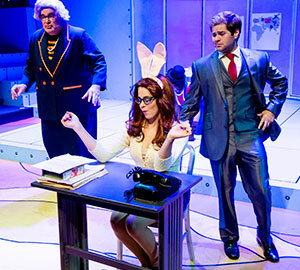 SAN ANTONIO–The Overtime Theater presents The Chateau Le Shadow, through Dec. 27, where you get to the pick the course of the play, and even the ending. Of course, the play takes place in a lush establishment nestled in the mountains of England where bodies tend to drop dead. Looks like loads of scroogeless fun.